This is your European city running starting point. On this page you will find all our European city running partners. City jogging, City Running, sight jogging, sight running, running tours, urban running tours, running tourist, capital running tours, or whatever we tend to call it. Below a full list of European cities where you can join organised tourist runs. RunBG is a portal and forum for running, devoted exclusively to fans of this sport in Bulgaria. This site aims to disseminate information related to running and training . Here you can find the information about nutrition and recovery. Explore Sofia – one of the greenest capitals in Europe on a bike! 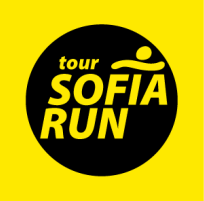 Get a bike and join the free-guided Sofia bike tour. See all famous landmarks and green parks with a guide who is a local. Escape from the busy city - spend a day of healthy hiking from the protected by UNESCO Boyana church to the beautuful Boyana waterfall and Boyana lake. See a panoramic view of Sofia city from the Vithosha mountain! We provide fun, affordable and sustainable travel adventures, as we also like to have fun while doing so.